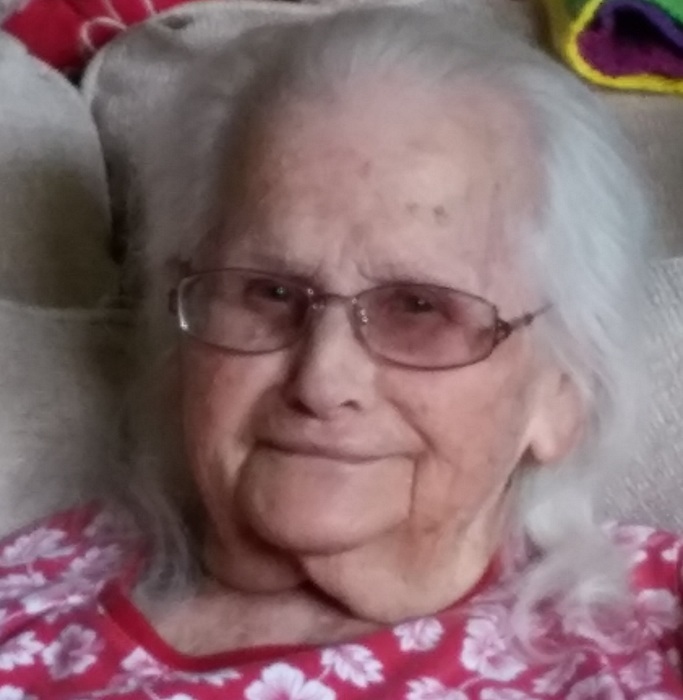 Mrs. Gladys Crawford Peacock Kerce of Lake Butler, Florida, passed away on February 1, 2019, in her home with the loving tender care of her daughter, Mary, granddaughter Sharon, and great-granddaughter Ciara. Gladys’ husband Frank was often at her side whispering “I Love You”. She was under Hospice Haven Care, which allowed her to comfortably pass at home as she wished. Gladys is the daughter of the late Andrew Jackson Crawford and Trudie Marie Thomas Crawford both of Lake Butler. Mrs. Gladys C. Kerce was born on July 3, 1925 in Lake Butler on the Crawford family homestead on Old Providence Road. She was ninety-three years old at the time of her death. She was ill only for a brief period with AFIB, Congestive Heart Failure, and C.O.P.D. She was married to Eustace Wadell Peacock Sr. for 45 years at the time of his death. She and Eustace had three children together. Eustace Wadell Peacock Jr., Mary Gladys Peacock Clingenpeel, and Ena Mae Peacock, and Gladys son Floyd Felton Waters. She was preceded in death by her two sons, Floyd Felton Waters and Eustace Wadell Peacock Jr. and by her daughter in law, Theresa Renae Peacock. She was also preceded in death by her three brothers, Earl, Ray, and Millard Crawford, and by five sisters, Ena Wilber, Ina Roberts, Clarice Strickland, Alice West, and Melba May. Gladys has one living sister, Arphine Parrish of Jacksonville, Florida. She is survived by her oldest daughter Mary Gladys Peacock Clingenpeel and her husband Glenn Allen Clingenpeel Sr. of Jacksonville Beach, Florida. Also survived another daughter Ena Mae Peacock of Starke, Florida, two daughter in-laws, Juilene Waters of Lake City Florida and Roberta Peacock of Hawthorne Florida. She was married to Frank Wilson Kerce Jr. on July 28, 2001. Gladys and Frank both attended church at the Lake Butler church of Christ where they met. Frank loves to recount his meeting the “pretty lady behind him”. Gladys loved studying her Bible and teaching others about the Lord. She was a loving and faithful Christian woman and the wife of a church Elder while living in Jacksonville Beach. She has 11 grandchildren and 33 great-grandchildren, and 7 great-great-grandchildren. Gladys loved to crochet and shared her many projects with those she loved. Many of those she knew and loved have nice warm hats and some even warm blankets that she crocheted. Gladys worked for Pan America Airlines, turned thousands of orange bags at the bag factory, worked at the King Edward Cigar Factory and her last job was at Conley Flooring. Gladys also worked for Dr. Patterson helping to deliver babies in the late 1940’s and the early 1950’s. Requested songs: How Great Thou Art, Precious Memories, and, I Come To The Garden Alone.